Fourteen BMAV members gathered at the home of one of the group to chat and indulge in pizza, salad, and dessert. 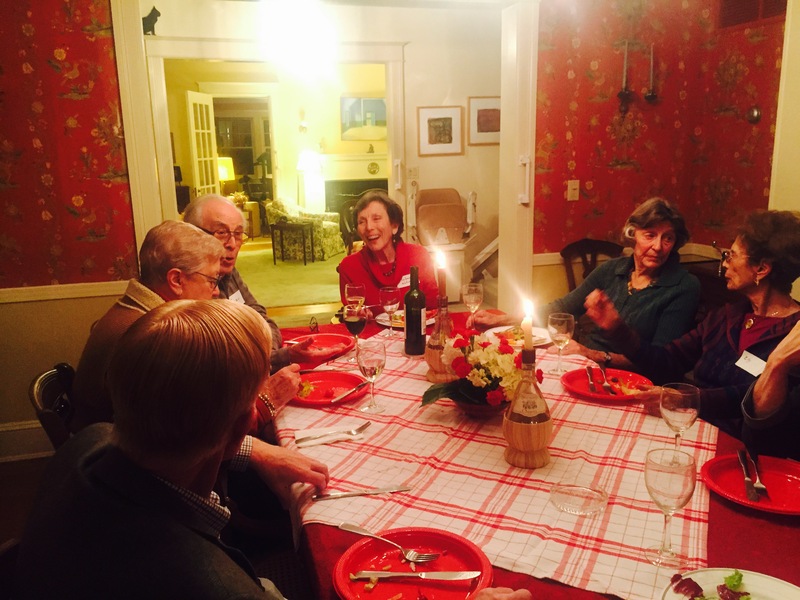 It is not known if any resolutions were broken during the evening, but conversations ranged from a discussion of DNA testing to reminiscences about ballet stars of decades past. In order for people to get to know all members of the group better, half of each table switched places for dessert. A most relaxing evening was enjoyed, with the warmth of good company the perfect antidote to winter weather!